Heatmaps is a very useful feature in Reflective Data platform. It gives you a quick but thorough and really actionable overview of the areas of your website that get the most (and least) of the attention. 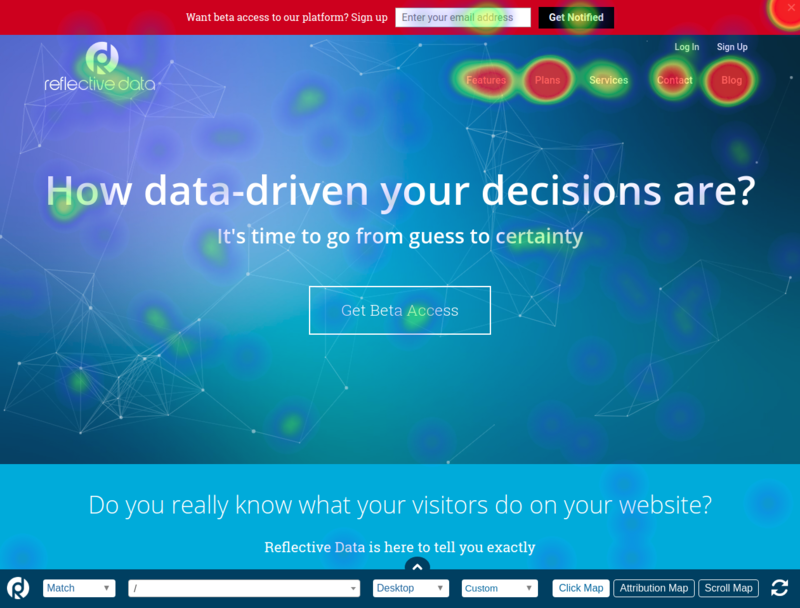 To get Heatmaps tracking running on your website, take a look at installation guide. To learn more about Heatmaps, take a quick look at our features page.